The modern age of internet and computerized technology has made the world more advanced, free, ingenious and interconnected place. Unfortunately, the misuse of internet has been growing at an alarming rate in recent years. Hackers have gone pro, with dedicated attacks on public and private companies becoming more and more frequent. In times like these, the introduction of strong encryption methods was imminent and necessary. Providing people with safer and more secure internet which could be used freely and without constant fear or worry about sensitive data is something many internet freedom enthusiasts want to achieve. Giving back people the sense of security online, allows for more innovation, inventiveness, confidence to speak our minds and more. Unfortunately, the feeling we are being watched were confirmed for many after Edward Snowden had revealed national security agencies like the NSA were monitoring and saving huge amounts of data on all individuals for the sake of national security. People’s right to privacy is deemed essential by the UN human rights watch. Encryption restores internet users privacy by ensuring online security for those who choose to encrypt. That’s when the problems began – governments started to feel they were losing grip and lagging behind technologically as more people were reclaiming their privacy and choosing to encrypt. Fearing that encryption would be used for malicious cause – authorities suggested creating a backdoor access – where a key would only be held by the authorities. Encryption that helps secure hardware and the internet connection is understood by everyone as an important practice. However, different application of encryption and access different people, some of whom mean harm has led to the government and other authorities to raise the alarm with encryption and it’s application. Backdoors are basically entry points into the encryption mechanism, which would allow the authorities to decrypt and then use the user data as they wished. The authorities are of the viewpoint that this feature would only be used when they were suspicious of malicious activity, brushing away the notion that they would use the backdoors to actively spy on people. While the government claims sound like a valid concern – there are reasonable counter arguments against the backdoor access availability that are equally concerned for the national security. The fact is that there are no backdoors that can only be used by the government and the good guys. 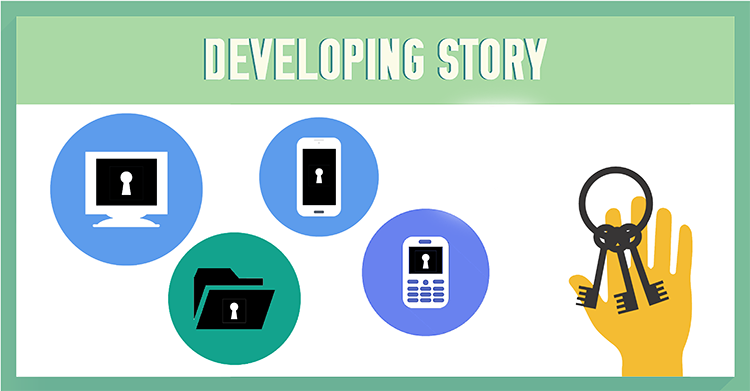 There is no guarantee that a hacker or other such malicious users would never get their hands to these backdoors. If the backdoor key were to end up in the wrong hands – the consequences would be devastating to say the least. The service or device systems could be compromised. The risk is too high. Law authorities have suggested that only court orders could permit the government to have a peek at the encrypted user data, yet the government officials resist even this suggestion, stating time is crucial in solving cases and the judiciary process would be to limiting to access desired data. Related: UK Investigatory Powers Bill proposes encryption backdoors for UK operator devices. Recently, the debate involving FBI and Apple has gotten a lot of media attention and the discussion about the encryption backdoors has raised even more discussion. Open Technology Institute lists 10 Reasons why government mandated backdoor to encryption is a bad idea. Even comedians took a stab at analyzing the issue further. Want to weight in on the debate? We wait for your comments below.